Critically-acclaimed teen prodigy, singer/songwriter, and global entertainer, EmiSunshine, returned to national television next week. The 14-year-old, who performs more than 100 dates a year, made a special guest appearance on the Emmy-nominated television show “Pickler & Ben” (produced by country superstar and Grammy Award-winner Faith Hill/CBS) on Monday, October 15, 2018. 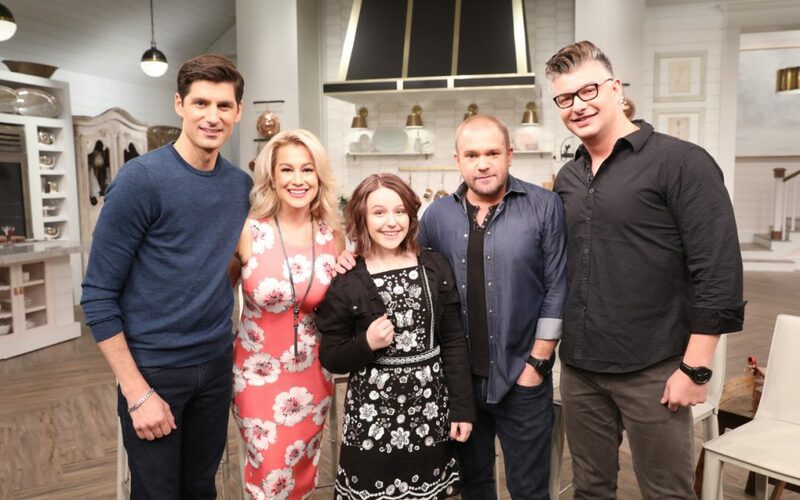 Emi’s October 2018 appearance on “Pickler & Ben” is her fourth national television appearance to date. Early in her career, she was invited to perform on “Today” (NBC/2014); Earlier this year, she wowed audiences with her extraordinary talents to perform in two separate episodes of “Little Big Shots-Starring Steve Harvey” (NBC-April 2018/July 2018). Most recently, EmiSunshine was invited to record a duet with Grant Maloy Smith; the two recorded the twangy novelty song titled “Fly Possum Fly.” The single will be released to radio this holiday season (Suburban Cowboy Records). An EmiSunshine signature tune is also highlighted in the soundtrack for the award-winning documentary, “The King” (Eugene Jarecki/May 2018); the film was recognized at the prestigious Sundance Film Festival and premiered at Cannes Film Festival where Emi performed. Emi makes a cameo appearance in the film among a colorful cast of characters, most notably, Steven Baldwin, Ethan Hawke, James Carville, Emmylou Harris, John Hiatt and Roseanne Cash. Working alongside renowned country music producer Tony Brown (who has more than 100 No. 1 songs to his credit and has enjoyed 100 million in album sales), Emi is currently in the studio recording her next project.